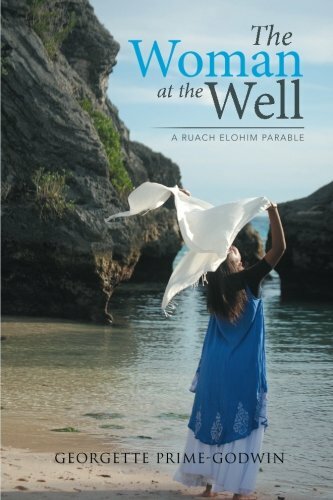 ‘The Woman at the Well: A Ruach Elohim Parable,’ a new book by Rev. Georgette V. Prime-Godwin, offers a “fast-paced spiritual story about self-healing, personal acceptance and forgiveness,” with the book already nominated for a Global Ebook Award. The book follows up on Rev. Prime-Godwin’s volume on faith and leadership, titled The Nehemiah Prototype – A Complementary Guide to Organizational Leadership for the 21st Century Church. The book’s synopsis says, “My view to life has always questioned my thoughtless actions. What evil provokes me to not forgive? What action has gone before me that has placed shackles on my heart? Rev. Georgette V. Prime-Godwin holds a Bachelor of Science degree in organizational leadership and management from Regent University. She graduated from Payne Theological Seminary with a master of divinity degree in pastoral leadership. She has been ordained an itinerant elder in the African Methodist Episcopal Church in 2012. As an author and motivational speaker, she has facilitated workshops for over 20 years in educational, business, social and church settings. For more information about The Woman at the Well, including how to purchase a copy, visit the official website. Congrats Rev Georgette. We are so very proud of you! You are an inspiration to many! Congrats George! To God be the glory! He is using you in a mighty way. Can’t wait to read.